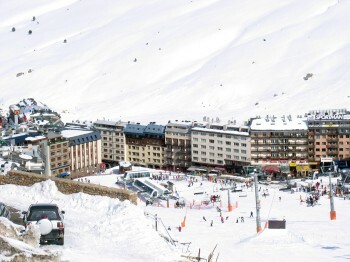 Pas de	la Casa is one of the highest ski resorts in Europe sitting up at 2100m right on the French / Andorran border. Pas de la Casa is a purpose built resort with all our hotels conveniently situated for the ski slopes. A lively après ski kicks off at the bottom of the slopes each day - then moves on to Deja Beer, Paddy's Irish Pub and the Underground for some late night dancing! Away from the slopes have a go at snow mobiling, dog sledging visit the leisure centre or take a bus down to Andorra La Vielle for some serious shopping or to visit the wonderful Caldea Spa.